Are you a university graduate, married and/or a homeowner... and still somehow only turning eight? Oh, you Leap Day babies, forever doomed to an anachronistic youth. At least there's one bright side to only having a "real" birthday every four years: Free food. On Feb. 29, those celebrating their birthdays are entitled to free meals at Z-Burgers and a dozen free Sprinkles cupcakes. Z-Burger isn't just offering you one burger -- they're giving you four. That sounds fair, right? The burger chain says: "Each meal will include your choice of burger, fries and a milkshake. Eat them all, share them with friends or save them for the next three birthdays you're gonna miss out on, the choice is yours, just come and get them." White Marsh: 8145 Honeygo Blvd., White, Marsh, Md. 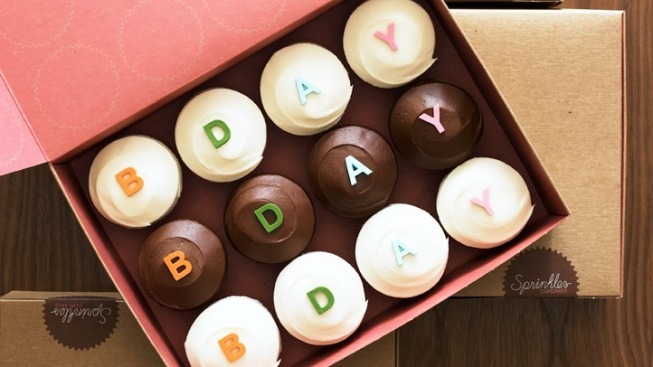 Then for dessert, head to Sprinkles Cupcakes in Georgetown (3015 M St. NW) for a dozen free cupcakes. No pre-order is necessary -- just show your driver's license of another proof of your Feb. 29 birthday. So have a great day, and let's be sure to do this all again in 2016.